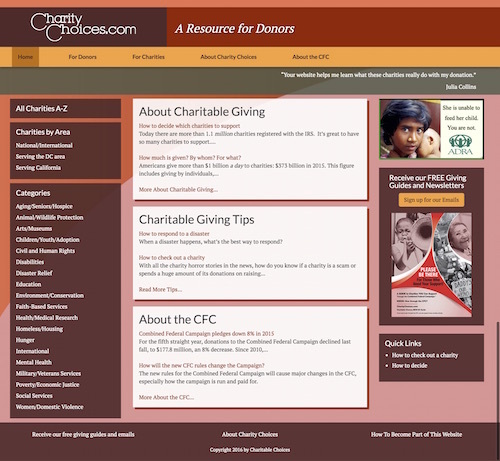 Charity Choices is an online extension of a service that grew out of a campaign in the 1980’s to open the doors of the Combined Federal Campaign (CFC) to a broader range of charities. The previous site was built in the 1990s with ASP and was in need of a restructuring and redesign. Their designer had a site mockup ready, but we collaborated with their team to render their design into something more responsive and user-friendly.